Really, what’s not to love about Stranger Things? From the 80s nostalgia to the eerie soundtrack to the fun (and scary) adventures in The Upsidedown this show got us hooked. 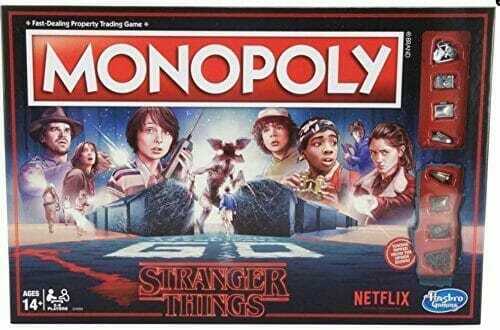 For all, you Stranger Things fans out there frothing at the mouth for the next season, here is a list of truly awesome Stranger Things merchandise and gift ideas that will make any fan happy. 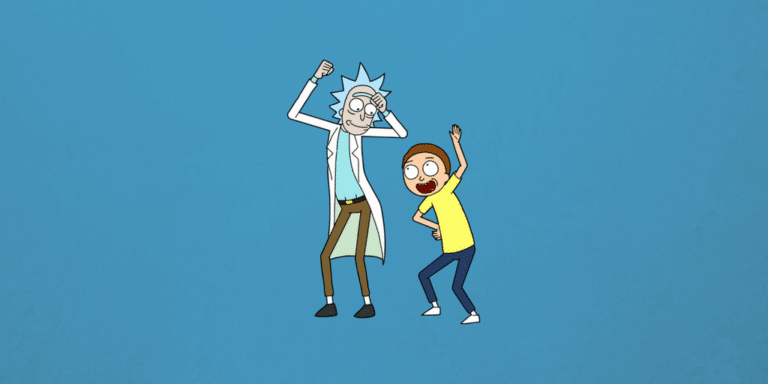 If you think the show got you – the music is just as good. This score is such great works of ambient synth backdrops though that I had to have it. A nice mixture of uplifting and morose beauty. It’s incredible as it is spooky and nostalgic, you will not be disappointed if you pick this up on vinyl. Such an amazing sound and feel. 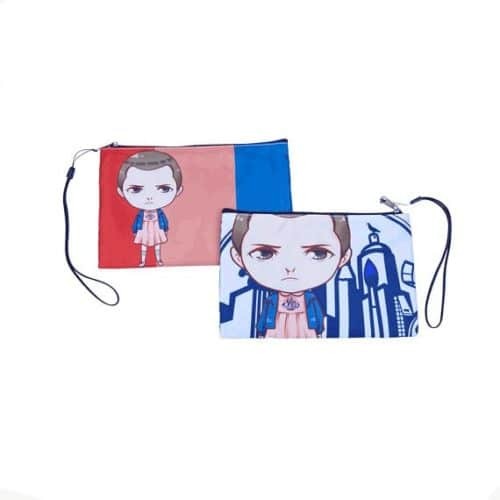 This Eleven Stranger Things clutch cosmetic bag is perfect to carry around all her accessories in style! If she’s a girl with a lot of makeup and cosmetics, this will make the perfect handbag for her lipstick, mascara, eyeliner, pocket mirror, etc. The handcrafted clutch bag feature fully double sided designs. Bags have a zippered closure on the top and also a hidden compartment within for added privacy. If only you could join Will, Mike, Eleven, and the gang to figure out what exactly is the Upside-down. Well, you can’t, but you can get this tank top can make you channel your inner Eleven. 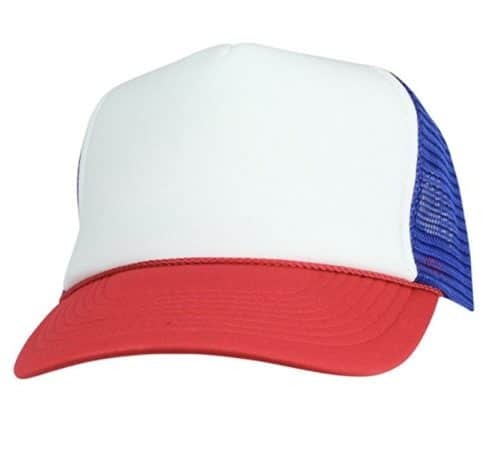 It makes the perfect gift a must for any Stranger Things aficionado. Mornings are for coffee and contemplation, right?? 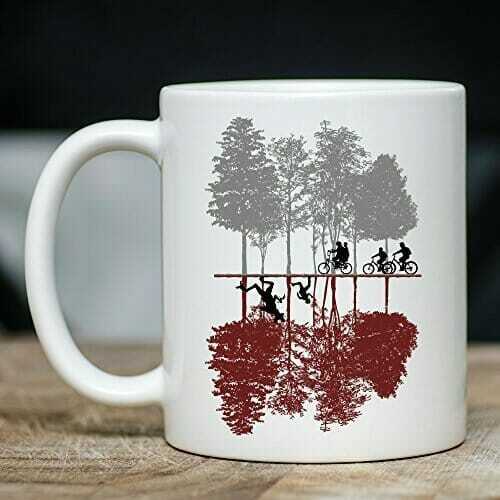 This Upside Down Mug 11 ounce ceramic coffee and the teacup is printed and designed in the USA. This mug is nicely oversized and great for travel too. Moreover, the imprinted design is printed on both sides of the mug, and we guarantee the designs won’t chip or fade. Are you looking for a coffee mug teacup that suits an awesome proud TV show fan? Look no further this is the perfect mug for them. Show everybody that you think that Barb deserved better than what she got. She got nothing but hell. 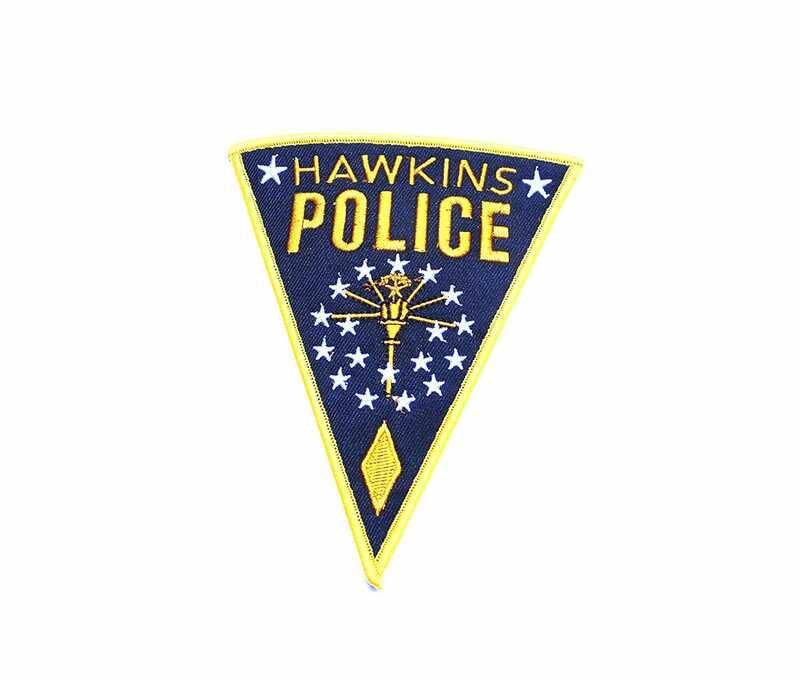 In Hawkins, Indiana Barb was already dead. 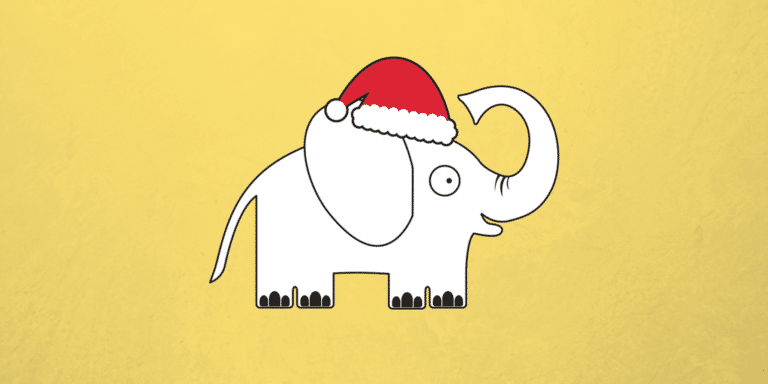 What in the world is going on this Christmas! Some strange things, that’s what.This unique ornament will make a great gift that will be remembered for years to come. Channel your inner Hopper with this Stranger Things embroidered Shiref patch. 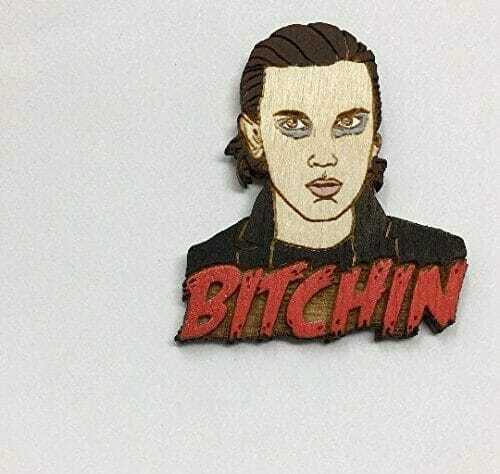 This patch comes with easy to apply iron-on backing. Give them a cartoon version of their favorite friend’s group. The phone case is available for iPhone, iPod & Samsung models. Slim fitting one-piece clip-on phone case available in a range of phone models.Allows full access to all device ports including volume buttons and headphone & charging slots. Extremely durable, shatterproof casing with super-bright colors embedded directly into the case. All the stockings were hung by the chimney with care in hopes that the Demogorgon will NOT be there. 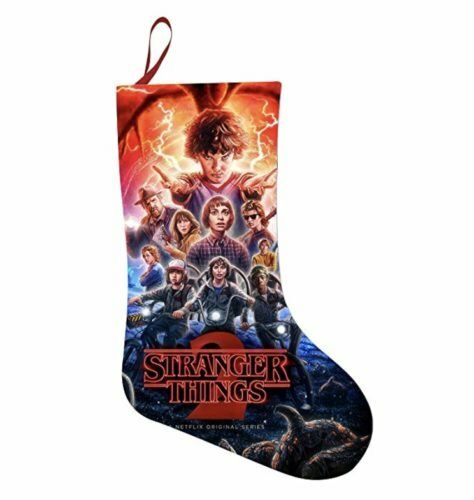 Perfect stocking stuffer to fill with more stocking stuffers like Stranger Things stickers, pins, and patches. This stocking is made of red felt with white felt trim. It has a red satin hanger loop at the top. The Felt Christmas Stocking is great for everyone to use to hold those awesome stocking stuffers! 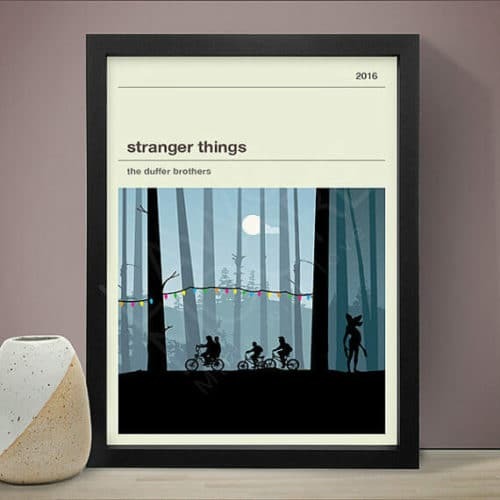 This Stranger Things TV poster is a really unique design to hang anywhere in your home. Probably best in the TV room 😉 This 8×11 print captures everything you love about the show. 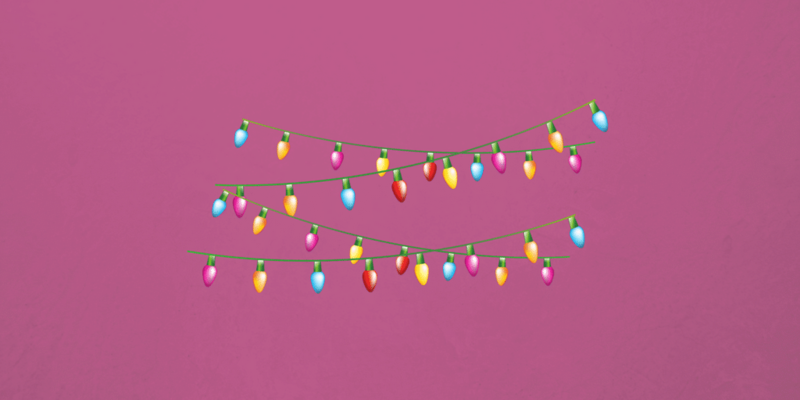 Has all the popular icons like the Christmas lights, The Upsidedown, Demogorgon and of course our favorite characters (except Barb, poor Barb). 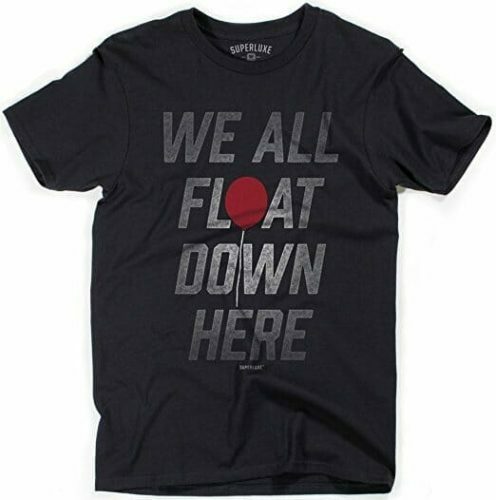 Original We All Float Down Here T-Shirt. This premium men’s t-shirt is made with preshrunk 100% ring-spun cotton which is finer than the traditional cotton yarn. You’ll love the youthful, contemporary fit, tagless label and soft texture. We print it with our signature Luxesoft Water Based Inks and distressing for a vintage look and feel. This one is pretty pricey, but if they are a super fan, it would be worth every penny. Party and communicate with The Upside Down… with your phone! Simply enter your message, and it will be spelled out in creepy flickering lights by the supernatural power of the Demogorgon (and WiFi.) Anyone within WiFi range can display a message! I mean, really, who can resist that hair? Steve Harrington deserves better. Put him on your Christmas list this holiday season. Printed on a Unisex Crewneck Fleece Sweatshirt so great for any gal or guy on your list. Oversized fit so runs a little large. The eco-friendly water-based ink prints directly into our shirt fibers for a smooth feel that provides a less vibrant, lived-in look. On a scale of one to ten… you’re an eleven. Perfect cards for any fan for any occasion. Blank inside and printed on heavyweight matte card stock with matching envelope and a cute sticker seal. It’s s cute you might want to give one to yourself too. Jazz up your laptop and put the piece of the upside down on your computer cover. 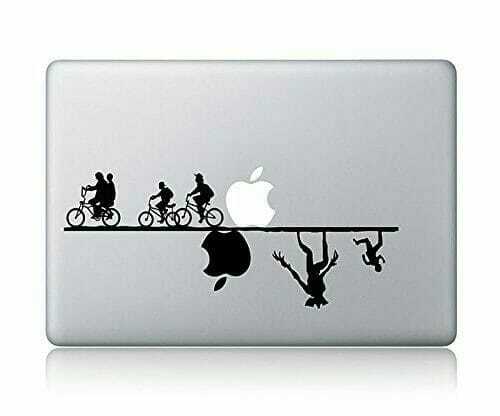 The Stranger Things laptop vinyl decals are available to fit Apple MacBook 11″,12″,13″,15″,laptops and available in black or white. Also perfect for any glass , wall, cars, or any smooth surfaces. Because we loved Stranger Things so much we decided Eleven needed her coffee! Try our Columbian Supremo beans roasted with vanilla creme and Vermont maple syrup flavors. It certainly is a strange brew. Coffee is Grade 1, fair trade, single source, certified organic, never over 30 days roasted. Eleven and the Demogorgon artwork created by Vanessa “Banky” Farano. Yeah, you can rock the mesh hat! Designed to fit almost any head, this hat also has an adjustable strap closure in the rear, in case you need some extra room, and perhaps to give a more snug appearance. The front panel is customizable to any additional printing or embroidering designs for your desired look. Whether your head is shaved or not, this is one look that will have you bathing in the spotlight. 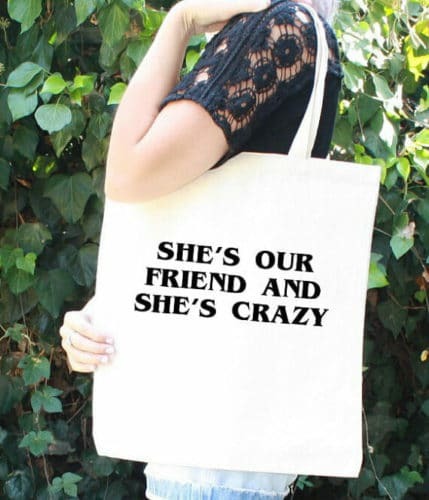 Show off your love for the amazing friendships in Stranger Things with this tote bag! This 100% cotton tote bag is lightweight with thick fabric, strong enough to carry books, laptop, groceries, your crafting supplies, packages, and much more. The design is screen-printed by hand using solvent-free water-based inks, ensuring long-term use without cracking or fading. This retro style travel mug featuring the Demogorgon. Accompanied Cup, Vacuum Keep-warm Glass, Creative Play Convenient Portable Lovers With Water In A Cup.Keeping The Water Warm Long For 8 Hours In Winter And Colder In Summer. Poor Barb may be dead at the hands of the Demogorgon; unfortunately, most residents of Hawkins have yet to realize this. Help them continue the search and show your friends you haven’t given up on her. We all have a special place in our hearts for Barb. If you know someone who has an extra fondness for Barb this mug will make their day. Not so scary anymore, huh? 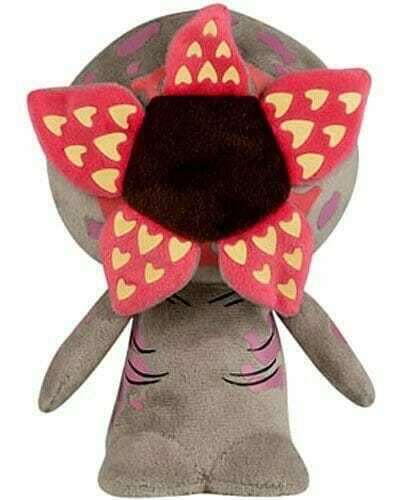 So much cuter at 8 inches tall this Funko Pop Demogorgon plush toy is a great gift for you a favorite fan. Makes a good kid or dog toy too. 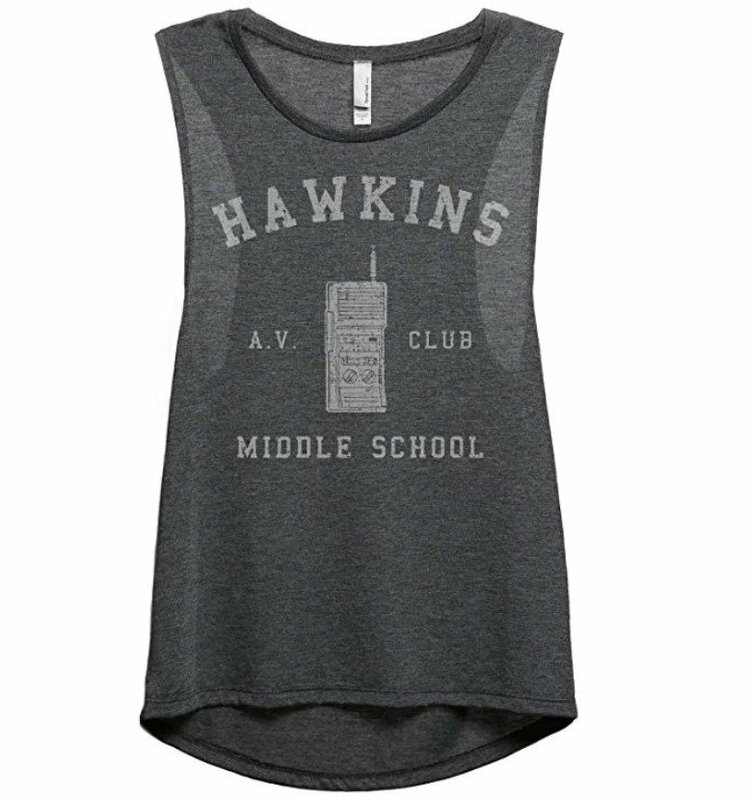 Hawkins Middle School AV Club T-Shirt Inspired by the Netflix series Stranger Things! 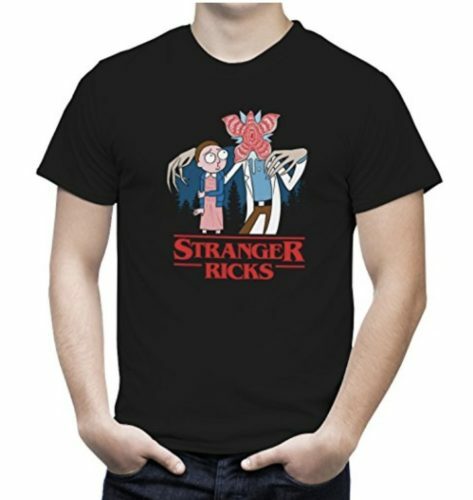 This shirt is a perfect gift for fans of the show. Now you can look good for all those mouth breathers out there. Whether you prefer to wear them on shirts, pants, or blazers, bold patterns are taking the world by storm. Socks aren’t immune from the pattern fever, and for a good reason- colorful socks add a unique punch to any outfit, from dressy suits to casual jeans. What better then a Stranger Things print on your feet. This is a subtle way to display their Eleven love. Channel Elevens girl superpowers with this ring. 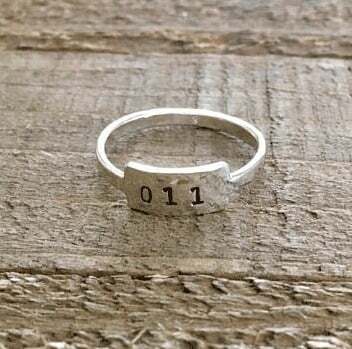 Each piece is hand stamped and will have slight variations which adds to the uniqueness to this one of a kind ring. 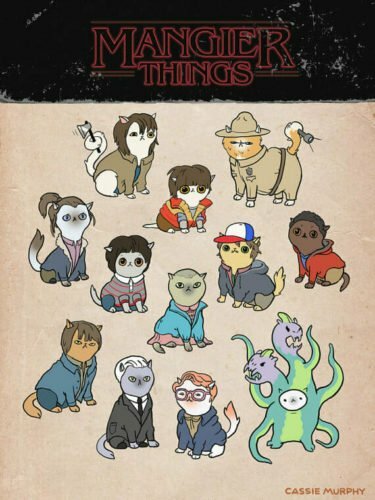 Mangier Things.The cast of Stranger Things as cats. Printed on metallic paper for a nice opalescent sheen. Amazeballs. 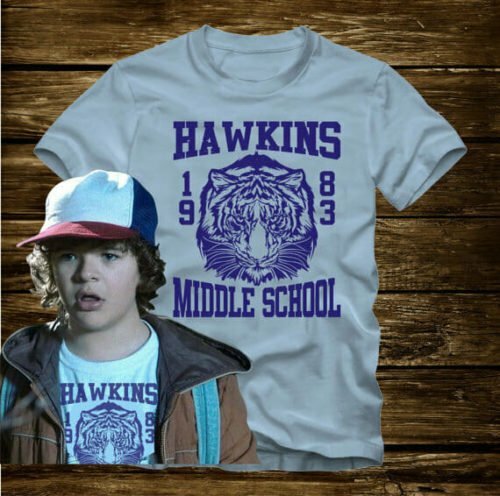 If you have a cat-loving friend who loves Stranger Things – look no further. Keep Barbs’ memory alive! This adorable Funko Pop mini figurine keychain stands 1 1/2 inches tall, perfect for any Stranger Things fan! 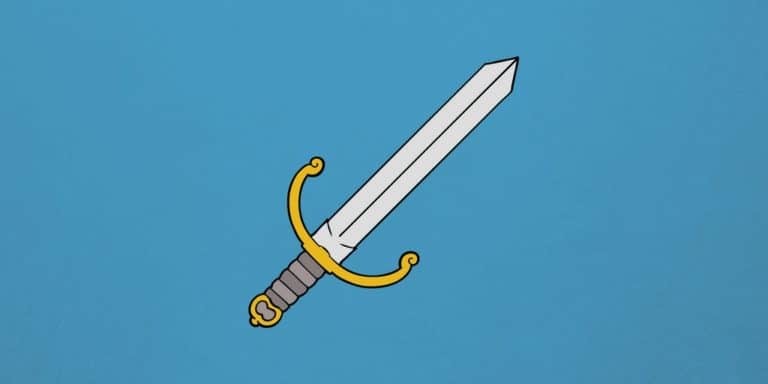 Take Barb wherever you go and keep her safe from The Upsidedown. They have figurines of all the characters, even the newest memeber of the crew Max! 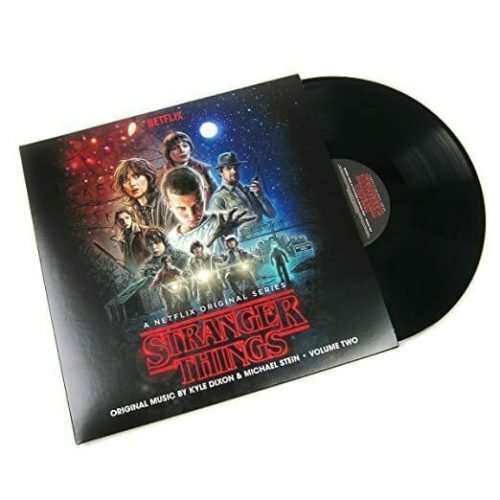 The perfect addition to any kitchen AND a great gift for any Stranger Things fan! Give them as a housewarming gift or keep them for yourself to brighten up your space. You will receive one handcrafted magnet for every letter of the alphabet! Spell out your favorite words, phrases, or warnings (RUN) in style. Magnets are strong enough to hold up grocery lists, to-do reminders, pictures or any other keepsake stored on your fridge! You are reminded of a mysterious girl with psychokinetic powers as this candle burns…11? El? 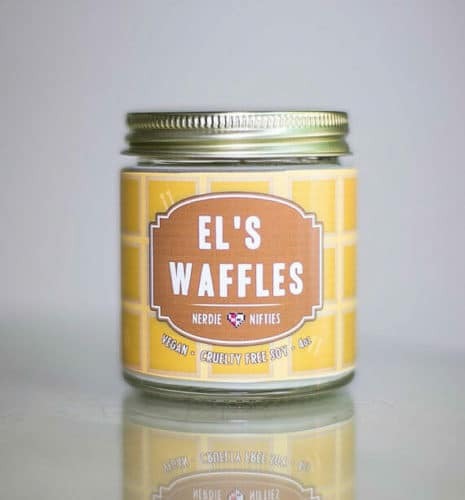 Whatever you call her, make sure to celebrate her love for waffles with this 4 oz candle! Now you don’t have to raid your local supermarket to enjoy the smell of warm, syrupy eggo waffles! 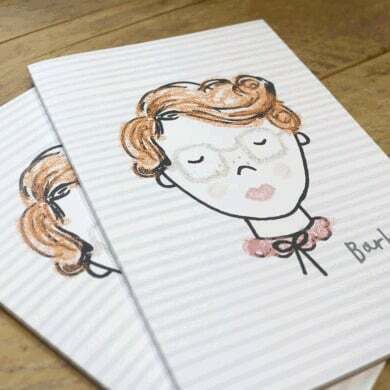 This notebook is for all those Stranger Things fans our there who think ‘Barb is me.’ Write your D&D strategies, names of your enemies or notes from the upside down in your Barb book. It has plain pages and a yellow inside cover with a nameplate, so you can make sure people know this book belongs to you. The cover design is digitally printed on 300gsm white recycled card stock, and the inside pages are 80gsm recycled paper. 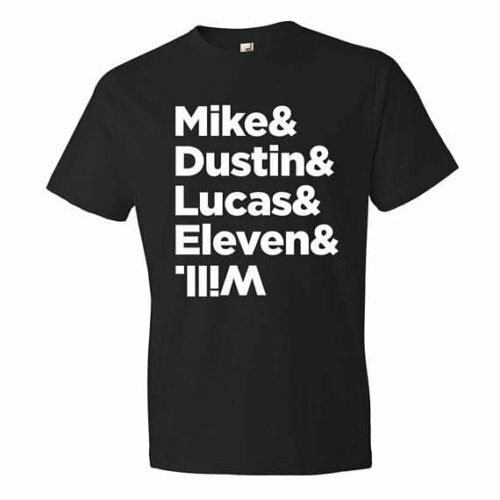 Channel Mike, Lucas, Dustin, Eleven & even Will with this Stranger Things Cast Name T Shirt. People who haven’t seen show might not understand but true fans will. Come in a few colors. All tees are pre-shrunk, and 100% combed ringspun cotton. And what will you wrap all these awesome gifts in? Christmas light wrapping paper – obviously. 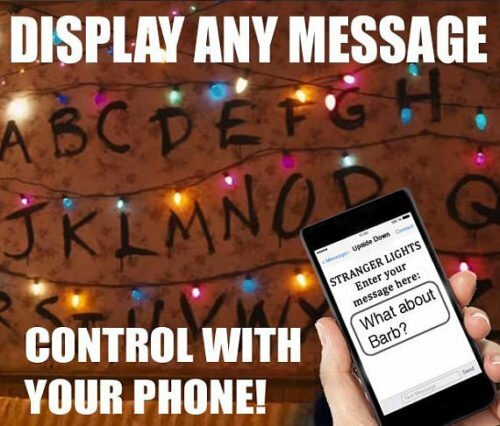 If you’re Will Byers, you know how to get a message across through Christmas lights. Even if you aren’t Will Byers, this Christmas lights paper is certain to help you get your message of wishes across! 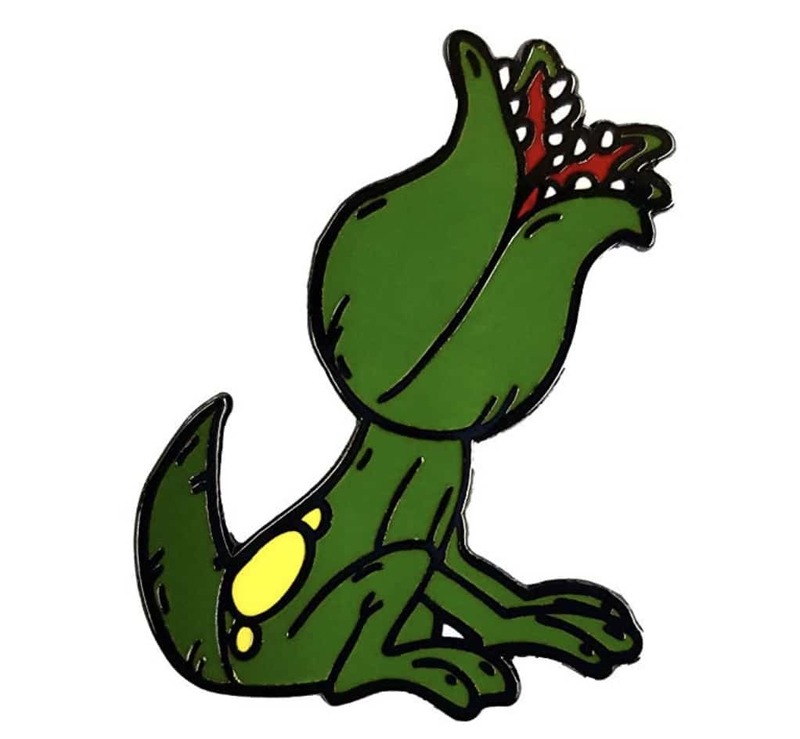 This pin will help you remember how freakin’ cute Dart was before he turned into the cat eating beast. This lovable lil Demodog from the Upsidedown measures 1.25 inches wide so you can take him with you anywhere. We promise he won’t eat your cat or your friends.